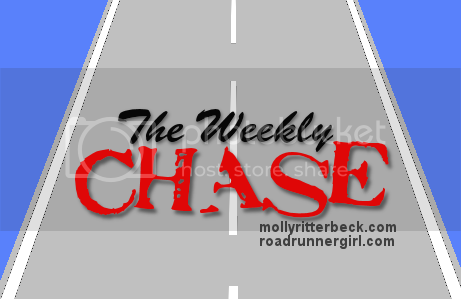 Per usual, I am linking up my Weekly Chase goals with Mindy from Road Runner Girl. Below is a recap from how the goals from last week went over, and my new goals for this week. Goal #2 - Continue to clean the office (I have some filing and shredding to do this week). Done, but there's still more to be done, of course. Isn't there always? Goal #3 – Catch up on blog reading and commenting. Done, but never really done. Haha. Goal #4 – Keep collecting healthy recipes and begin weekly meal planning and grocery shopping. I've been pinning recipes that look interesting, but could always use some suggestions! I ate more salads, chicken, and veggies than usual, so I'm happy with my progress so far. Goal #5 – Continue to run every day for the Runner's World Summer Run Streak. Yay! I've done this for 15 days so far (need to get my run in later today). Goal #2 - Continue to run every day for the Runner's World Summer Run Streak. Goal #3 - Finish reading my library book (This Is Where I Leave You). Goal #4 - Get the house cleaned up for Father's Day. I've got a busy week ahead, which unfortunately includes a lot of eating out (monthly date night with the husband, dinner with a friend after work, dinner with the in-laws, etc.). I'm planning on making the healthier meal choices when I can, but mostly plan on having fun! I don't think I'll have a week so jam-packed in a while, so I just want to enjoy it (and then spend a lot of time at home next week!). AFter you get the house cleaned for father's day, can you come clean ours? Please? Ha, great goals! I want to try and transition my weekly speed work to the mornings as it's getting too hot to do it in the evenings. Workin on it! If you pay for my plane tickets and let me stay over, then sure! Cleaning is a small price to pay for the trip ;) haha. Thanks! Getting it done in the morning sounds like a good idea, with the heat you guys have there. Ick. I can barely stand what we get, but it's not as bad as Texas.